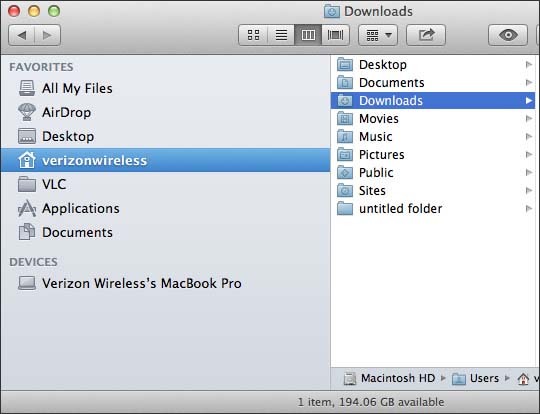 The Verizon Cloud app is compatible with Mac OSX 10.8 or greater. Navigate to the Verizon Cloud page. From the "Install Verizon Cloud to get started" section, click Download desktop app. The option is located near the middle of the page (may require scrolling). Click Download Desktop App - Mac. Allow several minutes for the download to complete. Depending upon Internet connection speed, the duration will vary. From the Macintosh desktop, launch the Finder icon (located on the dock). From Finder, navigate: (User Account) > Downloads. The user account name varies depending upon what was entered during setup of the computer. 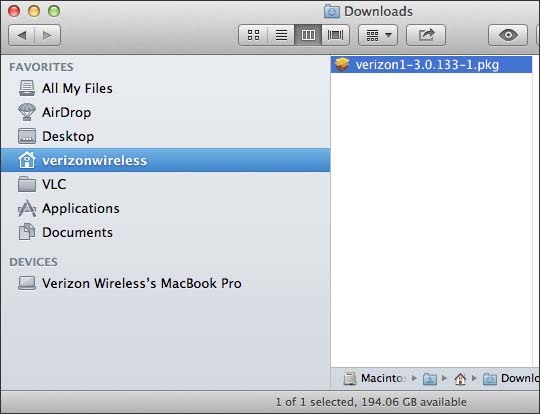 From the "Downloads" location, click mac_client-3.dmg or verizon1-3.0.133-1.pkg. The file name varies depending upon the available software version at the time of the download. Click the Verizon Cloud icon. To continue the installation, review the "Terms and Conditions" then click Continue. Click Agree to confirm agreement. Select a destination then click Continue. If prompted, enter a name and password then click Install Software.